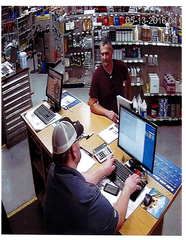 On May 16, 2016, an unknown adult male suspect entered the WestAir Welding Supply store in the 4800 block of State Road in Bakersfield. The suspect removed a welding machine from the store without paying and exited into the parking lot area. 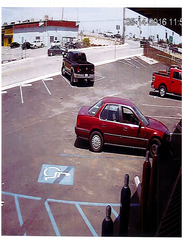 An unknown white female subject was waiting in the parking lot for the suspect near a 1990’s possible Toyota vehicle, maroon in color. The suspect placed the welding machine in the rear seat of the vehicle and drove away in the vehicle with the female subject. 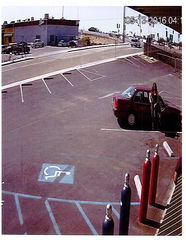 The suspect, as well as the white female subject and the vehicle, were captured on video surveillance and the pictures are attached. If anyone has information on this case or these suspects they are asked to call Detective Corey Stacy with the Sheriff’s Office Rural Crime Investigation Unit at 661-392-4365, the Sheriff’s Office at 661-861-3110, or Secret Witness at 661-322-4040. For further information see attached images.